Hague Consulting Limited's Directors and Associates provide strategy execution and strategic review expertise for government, not-for-profit and private sector clients. Hague is able to provide specialist contract resources for projects and can put together a team to operate from our own offices or a client’s office as required. Phil is a strategy implementation specialist with a background in finance and operations, process improvement, capability development, project management, and change management. Phil was the Programme Manager for Socrates, the first national disability services information system in New Zealand and managed two programmes of work during the set up phase of an EPMO for a large crown entity. Projects Phil has undertaken for Hague include, systems design and implementation, capability development, IT infrastructure replacement, process redesign. Consulting assignments include change management, turnaround management, strategic review, strategy development , effectiveness and efficiency reviews, reviews of information systems; quality auditing, and organisational reviews and restructuring assignments for public and private sector clients. He is also experienced in business excellence and its application to key business operations. Phil is a Certified Management Consultant (CMC). He is a Past President and a Fellow of IMC (Institute of Management Consultants) New Zealand. 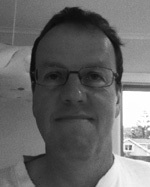 Phil is a member of PMI (Project Management Institute), PMI Consulting Community of Practice and NZ PRINCE2 User Group. He is a Project Management Professional (PMP) and a certified PRINCE2 practitioner. Phil is also a registered Gateway reviewer. 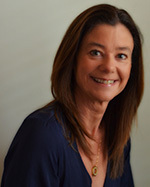 Jacquie is the founding director of Hague Consulting. With her background in market research and business planning and analysis, Jacquie has a particular focus on helping clients make informed business decisions through a commonsense approach. Jacquie has also organised several successful seminars and conferences, particularly in the fields of emergency management and earthquake engineering. Jacquie is a Certified Management Consultant (CMC). Before she established Hague in March 1998, Jacquie was a director of NovaTech (NZ) Ltd - a highly successful consultancy business specialising in feasibility studies, business planning and market research. Jacquie also worked for several years for the Department of Scientific and Industrial Research (DSIR) in the areas of international science and technology transfer. Jacquie has a Sociology Degree from Victoria University and a Masters in Management with First Class Honours from Massey University. 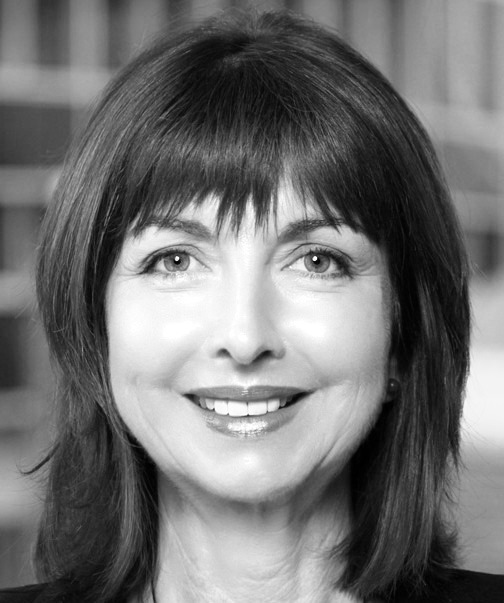 Jacquie is currently President of IMC New Zealand, the Institute of Management Consultants. 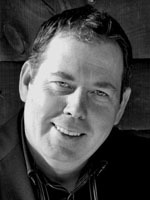 Iain Matheson is Hague Consulting’s research and evaluation specialist associate. Iain is the Principal Consultant with Matheson Associates Ltd - a Wellington-based management, research and learning consultancy that works across the community, education, health and welfare sectors in NZ and overseas. As well as being a generic management consultant, Iain has built up particular expertise in the area of research and evaluation. He has successfully undertaken research, monitoring and evaluation assignments with many NZ social sector government and non-government organisations, regularly gives talks to professionals on research and evaluation matters and now teaches an evaluation paper to postgraduate students on the Massey University social sector evaluation research and public policy programmes. Before becoming a management consultant in 2004, Iain held a high profile senior management position with Child, Youth and Family Services and prior to that a range of Government managerial roles in the areas of policy, strategic planning, regulation and operations. Iain is a Certified Management Consultant (CMC) and still maintains his Scottish registration as a social worker. He has postgraduate qualifications in social sector evaluation research from Massey University, social services management from the University of Edinburgh and social work from what is now the University of the West of Scotland; he is also currently undertaking a part-time doctorate at the University of Otago. 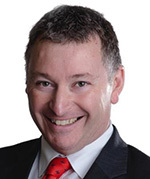 His professional affiliations include the American Evaluation Association, Australasian Evaluation Society, Aotearoa/New Zealand Evaluation Association and the Institute of Management Consultants New Zealand. Bob is a management consultant who has 20 years experience in the software industry. With a background in systems analysis and business software leadership, Bob is ideally placed to offer technical and business consultancy to Hague's clients. After a PhD in Glasgow, Bob moved to the Open University's Centre for Educational Software as a software designer. 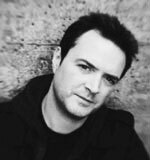 He was then recruited as a senior designer to the BBC's renowned Interactive Media Unit in the late 1990's, working on multimedia, Internet and early concepts for digital tv. He visited New Zealand in 1998, and became a Visiting Fellow at the University of Otago, in the School of Business. He spent the next three years running the web team at e-Media (an Internet start-up) in Dunedin, before moving to a senior software architecture role at New Zealand Trade & Enterprise in Wellington (the NZ Government's Economic Development and Trade body). Many Wellington and Auckland software industry people know him from this wide-ranging role. Bob left NZTE, for which he retains much affection, in 2008 and now consults on business software technologies, where he is able to combine his technical expertise with his experience in business analysis to advise organisations on the wisdom, or otherwise, of potential solutions. 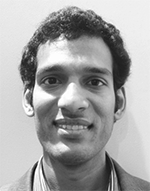 Vinay Karepalli is employed as a business intelligence analyst at Hague. Vinay brings a business analysis and process analysis background to Hague with several years’ work experience in an SAP Environment for IBM after graduating with a BBA and an MBA. Vinay has built on his practical background in business process implementation, system configuration and testing by completing a post graduate Diploma in IT in New Zealand. Vinay uses his skills in analysis and modelling business processes to support both IT and general management consulting engagements. Dr Damian Ruth enjoys making strategy real for everyone. His extensive academic credentials belie his remarkable ability to put people at ease and help them see their purpose and direction more clearly. Damian has lectured strategy at Massey University since 2002 at undergraduate and post-graduate level and on the Executive MBA programme. He entered academia after extended stints in journalism, editing and consulting in South Africa. He was a voluntary counsellor for many years, taught in adult education, cross-cultural workshops and social skills for youth, English in a gangland low-decile secondary school, in the most disadvantaged universities and the most privileged universities, from first-years through to MBAs, executive education and doctoral supervision. He has also taught in several disciplines; industrial and organisational psychology, personnel, research (University of the North, South Africa), and currently teaches and researches in strategy and organisational design. In the last ten years he has published more than 60 publications, and received teaching awards, research awards, grants and Fellowships. Damian brings to Hague a powerful approach to building capability and forming strategy that helps the client become the crafter and designer of their future. Let us introduce you to a new level of clarity with the most exciting approach to strategic thinking that we have seen. Ian Abrahams adds over 30 years consulting experience as a project manager and director, information technology consultant, and business consultant to work undertaken by Hague. He specialises in undertaking reviews, project health checks, developing ICT strategic plans and mentoring. Ian has developed a broad range of skills and experience. This allows him to relate to people from all levels of the organisation, quickly assimilate the functions and processes of the organisation, enabling him to present a holistic view of the business requirements and how these can be met through information technology. Ian is passionate about adding value to his clients by providing pragmatic advice as well as through knowledge transfer. Ian is a Certified Management Consultant (CMC) and a Fellow of the Institute of Management Consultants New Zealand (FIMCNZ). Ian is also a Certified IT Professional (ITCP) as well as a member of the Institute of IT Professionals and the Project Management Institute. Mark is an experienced software developer with over 25 years in the software industry. This experience has been in various areas of business both in the UK and here in NZ - and has encompassed analysis, design and development of applications. Mark has held roles at software houses both here and in the UK as well as roles in Banking, Telecommunications and Government organisations. More recently, Mark has specialised in the area of business intelligence, enabling businesses to build databases to develop analytical and reporting capabilities on their data. Mark supports our business intelligence, data migration and database strategy work to which he brings a wealth of experience in SQL Server data warehouses, data marts and database design and analysis. Cherri Holland has over 20 years’ experience developing high performance of individuals and teams, at all levels, in icon organisations. Her work has been across a wide range of sectors, both private and public, in South Africa, Australia, New Zealand, United Kingdom, Singapore, Malaysia, China, India and Cook Islands. This has included improving leadership, relationships, positive influence, self-mastery, organisation transformation and performance management. Experience has taught Cherri what works best in a range of different situations and she uses a variety of approaches to get results from facilitating planning sessions through to coaching in groups. Cherri also develops and delivers workshops for Chartered Accountants Australia & New Zealand and Institute of IT Professionals. Her track record proves the success of her methods in the changes people can make in themselves and others, both inside and outside the organisation. This has demonstrated the extent to which there has been a shift in the way people think and act to effectively create the high performance behaviours required for an organisation’s success. Cherri works with Hague on capability development initiatives.